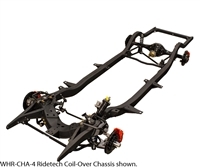 The Tri-Five Experts at Woody's Hot Rodz offer a variety of chassis combinations for your Tri-Five. 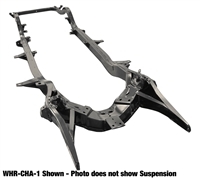 We build our own Gasser, Cruiser & Classic chassis, and we also offer a full line of Art Morrison chassis for your 1955-57 Chevy. Woody's Hot Rodz Tri-Five Chassis from eclassicautos on Vimeo.